When is the last time that you’ve taken a good look at the gutters on your home? There are so many things to think about as a homeowner, but your gutters should not be forgotten. They actually play a very important role in protecting your home and keeping things dry. Without gutters, rain, snow, ice and debris would slide off of your roof and come in direct contact with your home and the foundation. Functioning gutters transport liquid runoff from your roof away from your home and its foundation, which is critical in keeping your home in good shape for decades to come. If you’re Woodbury, MN home is in need of new gutters, there is no better gutter company to partner with than our team at Minnesota Leafless Gutters. ● Free Gutter Inspection – At MN Leafless Gutters, we offer a complimentary gutter inspection to determine if repairs or replacement is needed. You’ll have a true understanding of the cost prior to committing to our work being done. ● Affordable Pricing – The community of Woodbury, MN is like family to our staff, which is why we strive to offer the most affordable pricing around. ● Diverse Gutter Options – We understand that not everyone likes the same look when it comes to their gutters. 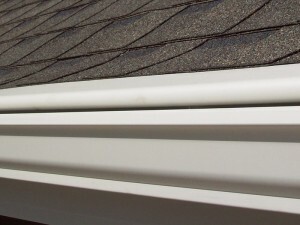 We offer our clients a wide range of gutter materials, finishes and colors to choose from. ● Quality Installation – Attention to detail is critical when it comes to gutter installation. We do not rush through any installation job. Our goal is to fit your gutters to your home seamlessly. ● Timely Work – You can always count on our gutter professionals to be on time with your repair or replacement project.